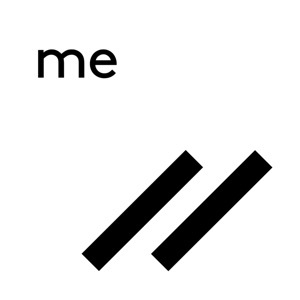 Privacy is made easy for everyone with Wickr Me. 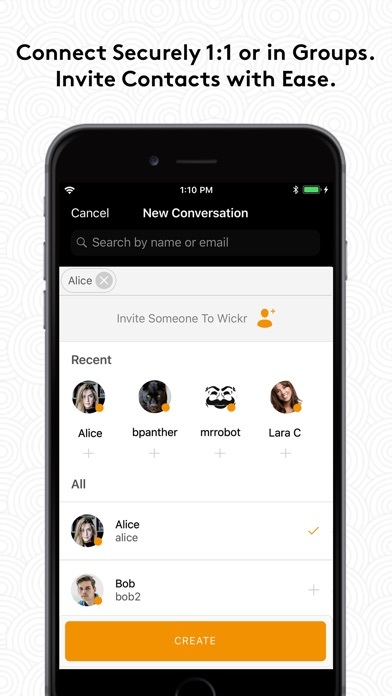 With Wickr Me, you can instantly connect with your friends 1:1 or in groups - now with fully encrypted voice calling, voice memos - new additions to the trusted end-to-end secure sharing of files, images, and videos. Take full control over who has access to your content and how long it remains accessible. 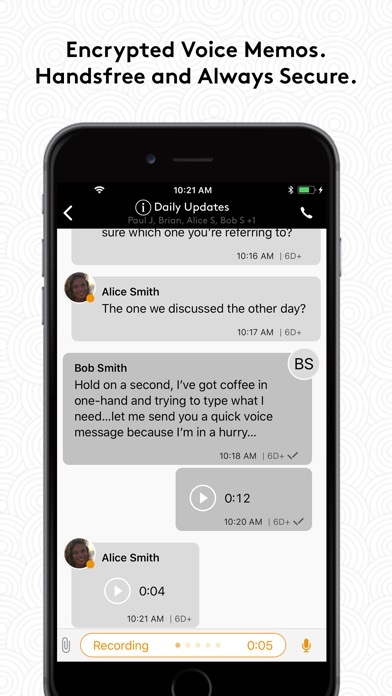 Users Trust Wickr Me for Their Most Critical Communications: On Privacy & Security: - Every message is encrypted with a new key using advanced vetted end-to-end encryption. Wickr never has access to your messages or your contact list. - No phone number or email address is required to register on Wickr Me. Your address book remains private and is not stored on our servers. - Wickr does not store any metadata associated with your communications. - Wickr’s code, policies, and security practices have been verified by the most respected security research teams in the industry. Learn more: wickr.com/security. - Communicate in private groups of up to 10 users. - Shredder – overwrites all deleted Wickr content on your device. On Ephemerality & Crypto Policies: - Open source code for transparency and audit by the crypto community and open for audit. - Configurable Expiration Timer – Set the expiration time on all your messaging content. - Device-to-device encryption - each message, file, and call (each 512 packets) are encrypted with a new key so it's near impossible to break. 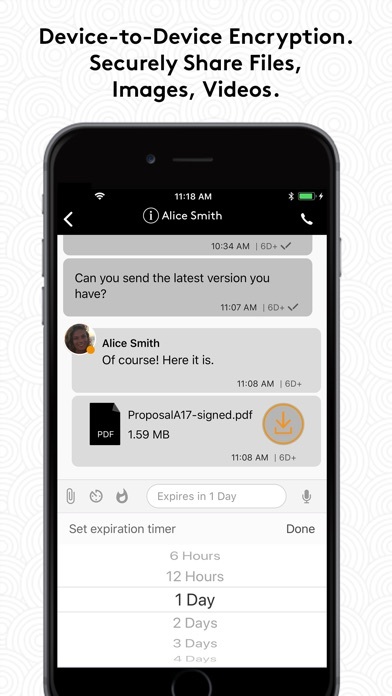 - Wickr Messaging protocol enables strong end-to-end encryption and perfect forward and backward secrecy for user content. The source code is available here: (https://github.com/WickrInc/wickr-crypto-c) and documented here: wickr.com/security. 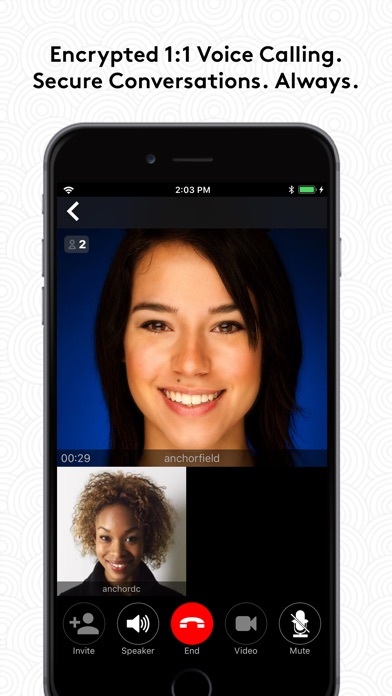 At Wickr our mission is to provide a secure communication platform trusted by individuals, teams, and corporations, across industries, sizes and scale, to manage their most valuable communications. 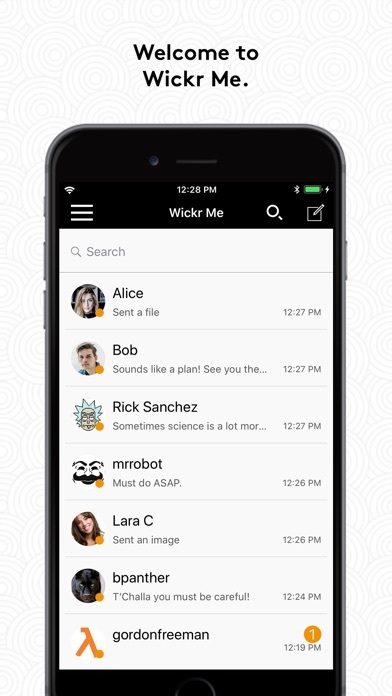 Wickr Me, our free (ad-free) flagship app, is the most trusted and secure messenger platform, powered by the world’s most advanced multi-layered encryption and ephemerality trusted by millions of users worldwide. For Wickr’s full secure communications line-up, visit wickr.com/all-products.